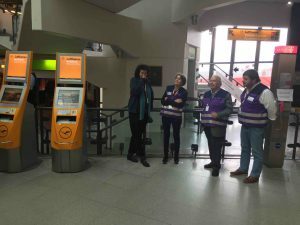 The Berlin ecumenical airport chaplaincy seeks to be near to those employed at the airports. The airport chaplains are open to their professional and personal needs. They know and appreciate the value of their work at the airports. It goes without saying that the pastoral confidentiality and discretion is of utmost importance to us. We are also happy to arrange appointments in our office or elsewhere. Please do not hesitate to contact us.